Electrifying the propulsion systems of vehicles provides a number of functions that can help reduce energy consumption. This is achieved by optimizing the operating conditions of the internal combustion engine and by recovering a variable fraction of the available energy during braking, in hybrids that we will never be connected to the grid. The simplest systems, which make it possible to eliminate idling, yield fuel savings of 5 to 7% in the standardized European cycle. The most complex systems, which provide more functions, lead to savings of up to 40% in urban conditions. Electrification also allows the creation of additional functions, of benefit to the users of the vehicle or to the community, such as all-electric range and connection to the grid for plug-in hybrids. We will briefly describes in the presentation these architectures, their specificities, together with their potential and drawbacks for the case of light duty vehicles applications. Francois BADIN was a researcher at the Transports and Environment Lab. (LTE) of the INRETS for 22 years, he was senior researcher, in charge of electric and hybrid vehicle activities. 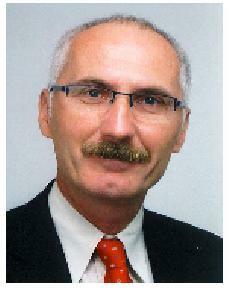 Since 2008, he has been Expert Director in the field of Hybrid Vehicles at IFP New Energy. François Badin has a Scientific Doctorate in Environmental Engineering from the University of Chambéry, France and a five-year Engineering Degree in thermo-dynamic processes from the National Institute of Applied Sciences (INSA) in Lyon, France. François Badin's research is in the field of evaluation and optimization of electric and hybrid drivelines. This research concerns both experiments and simulations and is applied to the case of light duty vehicles, buses and trucks. François Badin has been in charge of various experiments carried out on roads, chassis dynamometers, engine test benches and battery test benches. François Badin has been involved in the realization of simulation software in the field of electric and hybrid vehicles and real time applications for the control of a specific high dynamic engine test bench which associated real time simulation with component testing, in hardware in the loop concept. François Badin has also been involved in specific applications, dedicated to optimal energy management in the vehicles and on the HIL high dynamic engine test bench.